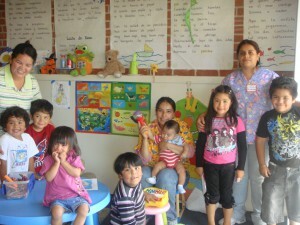 MUA offers a series of workshops that focus on creating healthier parent/child relationships. These workshops are designed to support parents and grandparents, as well as women who care for young children. Often as parents we isolate ourselves with our problems believing that we are the only ones that are having a difficult time with our children. Through our workshops (adapted from the Hand in Hand Parenting curriculum) we share information that is useful in understanding children, identifying when our children may need help, and how to ask for help when we need it. Participants have an opportunity to talk about their own experiences and knowledge, as well as develop strategies to address current issues they may be having. The biggest goal of the workshops is to help us feel more confident in our ability to create a healthy and stimulating environment for our childr en’s development and growth. Workshops are offered in a safe and confidential manner in a group format or on an individual basis (if preferred). Please contact Maria Carillo at mariac@mujeresunidas.net for more information. MUA offers an on-site childcare program during all meetings, workshops, and trainings that is staffed by members of our community who have been trained as Childcare Providers. Our childcare program is an opportunity for the children of our members to connect with their culture, learn and participate in social movements, and develop healthy relationships. 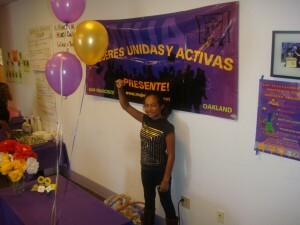 MUA also offers Family programs such as “Noches Familiares” which bring together members and children to celebrate Latino culture and take pride in being bilingual and bicultural. We create community celebrations throughout the year for our members and their families.